Epic Channel, a Hindi entertainment channel (HD), is all set to air history, folklore and mythology-based content. The wait is finally over. 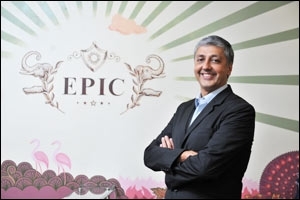 Epic Television Networks has announced the launch of India's first genre-specific Hindi entertainment channel. Called Epic Channel, it will be launched on November 19. News of this launch first broke in May last year. However, the company was not able to obtain the mandatory license from the Ministry of Information and Broadcasting (MIB) until recently. The channel finally received a nod from the Ministry in September this year. Launched by former Disney India managing director Mahesh Samat, who is now designated as founder and MD of Epic Television, the channel has received substantial investments from industry biggies like Anand Mahindra (who is backing the channel in his personal capacity), Mukesh Ambani and Rohit Khattar (who is also chairman of the company). Ravina Kolhi, former TV head at Yash Raj Films, has been appointed as creative head of the channel. 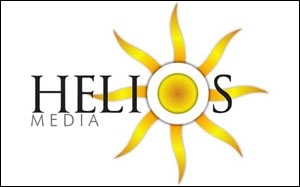 Aparna Pandey takes charge as business head and is also managing marketing and ad sales through Helios Media (an integrated ancillary service company for television broadcasters), that won the duties last month. Manish Thukral is chief financial officer while Niharika Kotwal is in charge of production and technical aspects. The team will report to Samat. Pankaj Parashar, film and television director, is working on a comedy show for the channel. 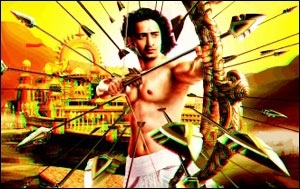 Epic will air action, drama, comedy, supernatural and narrative content - both fiction and non-fiction - set in India's historic and mythological eras. "The take, however, is contemporary and modern, as compared to other shows in these genres on exisiting entertainment channels," clarifies Samat. The channel, to start with, will have around 13-15 weekly shows, most of which will be hour-long. On weekends, the channel will air films that are in sync with its core proposition, 'Kahaniyaan Hindustan Ki' (Hindi for fables of India). They will be chosen from the channel's library of 20 movies. On weekdays, the channel will air around two-and-a-half hours of original content starting at 8 pm. When asked about the target audience, Samat told afaqs! that the channel is for "everyone" in the family. "I am not pushing for appointment viewing, but yes, I want to be a part of the basket of shows the viewer wants to watch." The shows will be finite, limited-ending ones. Each episode (in most of the cases, at least) will be a new story. "This will allow viewers to step in and out when they feel like. I want them to be loyal to the brand," Samat explains. Some of the shows in the programming line-up include Dariba Diaries, Dharma Kshetra (produced by Bolt Media) and Siyaasat. 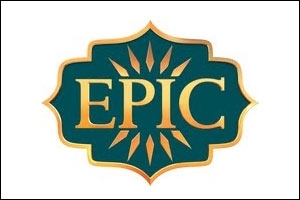 Epic Television has signed a distribution and syndication deal with IndiaCast. The channel is in conversation with all major DTH players, and cable operators in the DAS area. The channel is expected to have pan-India coverage as soon as it is launched. The channel has not got any advertisers on board yet. Mass media promotions will ensue shortly; agencies are in the process of finalising details of the campaign. The biggest push, we learn, will be on digital, a platform on which the channel has already begun working towards engaging with prospective viewers. Madison Media is the channel's media agency, while Dynamite has done the packaging. The creatives and promos have been taken care of by Epic's in-house team.